This week’s blog is for all you frazzled parents out there. 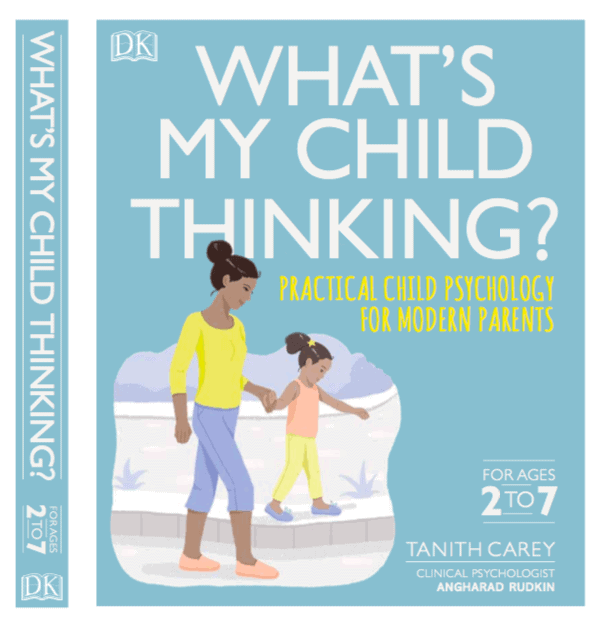 Last week I chatted with Tanith Carey, award winning journalist and author of some really fantastic books on parenting, about her new book ‘What’s My Child Thinking?‘. I took the opportunity to quiz her for some tips. 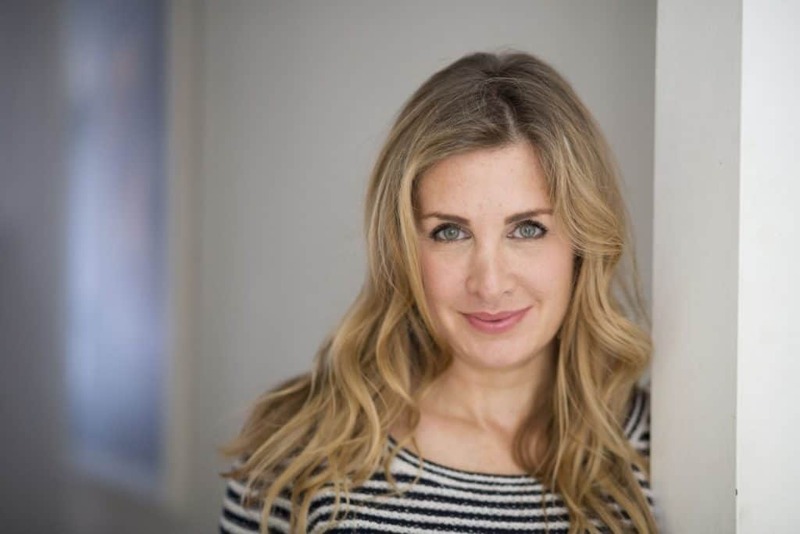 Tanith has been hailed as the UK media’s leading commentator on girls’ well-being and makes regular appearances on shows such as the NBC Today show in the US, You and Yours, This Morning, the Lorraine Show and Good Morning Britain. First of all, congratulations on your new book, ‘What’s my Child Thinking?’ … I wish your book had been around when my daughter was younger! Could you tell us a bit more about it? My daughters are now 13 and 16, but this is the book I was searching for when they were younger. It uses child and developmental psychology to give you a deep understanding of how your child thinks at each key stage of development, in more than 100 different every day scenarios, ranging from ‘I don’t want to go bed’ to ‘It’s not fair’ to ‘They are being mean to me.’ It’s beautifully laid out so you have access to what you need right there in the moment. The fact that it’s all science based is also designed to give parents the confidence to know that they are responding in the best way possible. You’ve written many books about child psychology. What prompted you to move into this from your career in journalism? ‘What is my child thinking? ‘ is my ninth book, and seven have been on parenting. As a parenting journalist, I have been lucky enough to have access to the some of the world’s top child psychologists and educationalists when I write features – and I have also be able to react to fast-moving trends which affect parents and children. As I crystallised these trends – and did so much research and so many interviews – it seemed natural to put all the information I was gathering in readily accessible guides for parents. Your books are wonderfully accessible and full of practical tips, I know its like choosing a favourite child, but do you have a personal favourite? Well, until each now, each of my parenting books has been designed to address a particular issue. Girls, Uninterrupted was written to help girls become stronger in the face of mounting pressures on them. Taming the Tiger Parent was written to help parents know how to protect children’s well-being in a competitive world. Mum Hacks was written to help make life easier for busy parents so they could enjoy family life more. So each one has a specific role which I think are all equally important. However, I really do feel my two new ones are very much what parents need at the moment. I really don’t think there has been a book like ‘What is My Child Thinking? : Practical Child Psychology for Modern Parents‘ before. It distils the child and development psychology for parents and puts it in a nutshell so parents can draw on it easily, in the moment when they need it. It is a also a really good reference book, always on hand when you need it, packed with info – and the illustrations are also beautiful so it looks soothing too! I am also really excited about ‘The Friendship Maze‘ because I think, until now, parents haven’t known how to respond to children’s friendship problems. I think so many of us just go blank and don’t know what to do or say when our child comes home and says: “I had no-one to play with today.’ – or ‘My friend was mean to me’. Again it uses the scientific social science to help parents understand how children’s social relationships work in an easily digestible way – so parents feel more confident. And that’s good for everyone. Many of my readers are parents of young children – what are your top three tips? • Put away your phones when you are with your child. You may think they don’t notice when they are little, but even just partial attention sends them they message they are not important..
• Play with your child. Set aside time with them every day for a game they choose. It not only keeps you closer , it helps them learn how to interact, understand the to and fro of human interactions and have better friendships as they get older. Games of Lets Pretend are key for this. They don’t grown out of this. Only the games change! • Always have open arms – your child is not trying to be naughty or difficult. Their brains are just developing at a rapid rate and they haven’t yet developed the self-control to be able to regulate their emotions. However how you respond and connect however helps build the necessary wiring over time. One of the things we offer at Vitality is coaching for children; they are usually dealing with anxiety. Do you think children are becoming more anxious and why do you think that is? Yes, I do think they are generally becoming more anxious. I think it’s a perfect storm of factors. League tables means schools are putting more emphasis on children achieving at school earlier – and they feel that pressure. As there are more households where two parents work – and we tend to have less family support to share childcare, parents are becoming more stressed – and our children ‘catch’ this stress. As children get older social media also becomes a huge source of unhappiness for children because it makes them compare everything – from their number of friendships to their physical appearance – so they feel they are never good enough. They are generally getting less free time to play and explore which they need for their emotional and social development, so that means they can run into more friendship problems. Now that friendship is ‘quantified’ in the number of likes you get, that can be stressful for them too. Do you have a particular book that might help our parents and children with this? Each of my books addresses a different kind of stress. So Taming the Tiger Parent looks at school stress, Mum Hacks looks at reducing parent stress and time poverty, Girls Uninterrupted looks at the pressures on girls, The Friendship Maze looks at some of the anxieties children have around their social relationships. ‘What is my child thinking?‘ helps reduce all kinds of stress because parents get access to the best science on how to respond, that makes them more confident and consistent, which generally makes parents calmer. And where there’s a calmer parent, there’s generally a calmer child! Is there a particular age range your books are aimed at and do you have any plans to expand into teens? The pressure on teens is a serious concern for me personally and professionally. Well, Taming the Tiger Parent is for parents of kids of all ages, as is Mum Hacks and Girls Uninterrupted. The Friendship Maze is also for parents of kids age 3 to 16, as it follows the whole continuum of children’s relationships. However as you ask, we all already writing a follow-up to ‘What’s My Child Thinking?’, which is called What is My Teen Thinking?! Fabulous! How can our frazzled mum’s help themselves? Learn how to understand how your child thinks from a developmental point of view. When you see exactly how they see the world, you are less likely to get stressed-out and annoyed by their behaviour – and more likely to get a sense of real connection. Knowledge is power. That’s why books like ‘What is my child thinking? take the best of child psychology and lays it out in beautifully clear steps so you can apply it in real-world scenarios. I believe that when parents have confidence that what they are doing works, that helps them to become calmer and more consistent. That has a positive knock-on effect on the child which makes family life easier all round. You mentioned your daughters … have you also been a frazzled mum? Yes, I have been frazzled ,which is why I set out to write books to try and de-stress parents. I really believe stress is the number one enemy of good parenting. Thank you so much for taking the time to talk to us Tanith and good luck with the new book!